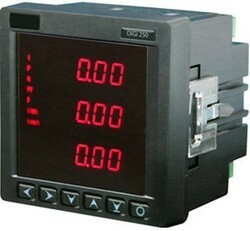 Digital Meter 22.5 Mm Dia. International Instruments Industries introduce Meco VIF-96U Digital VAF meter. Having True RMS measurements. We take pleasure to introduce ourselves as one of the renowned manufacturer and supplier of Three Phase Panel Meter. - Used to record electrical energy consumed over a specified period of time in terms of units.